Pavel has over 12 years of professional software development experience. His primary focus is on computer graphics. 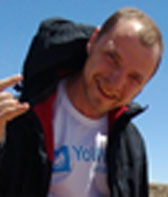 Prior to starting YoWindow project Pavel has worked at Borland corporation. There he was repsonsible for a graphical subsystem of the flagship product "Together". Pavel holds a PhD degree from Saint-Petersburg Electrical University. Since 1996 Yuri works as a computer graphics artist mostly in game development. 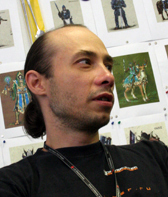 He is fluent in game design, character, interface, level design, high and low polygonal modeling, characters skinning and animations, creating content for 3D video games (PC, PS2, XBOX). Yuri has strong skills in traditional art. Now he works as a Lead Artist in the game part of LG Russia R&D Lab.